You are here: Home / News / SPECIAL ANNOUNCEMENT! 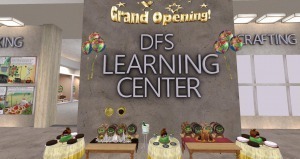 Today is the Grand Opening of the first DFS Learning Center at 3pm SLT! The Center was created and designed by Amaya, one of our awesome supporters and faithful DFS Users. 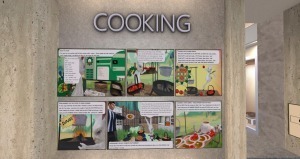 The Center is a state of the arts showcase of the DFS system, designed to be interactive and promote self-learning in a fun and creative way. In addition, it will house many of the future DFS classes and demonstrations. Merging the center with our active DFS Support group, forum and website, provides customers with easy access to get started, and to make DFS a key part of their role-playing experience. 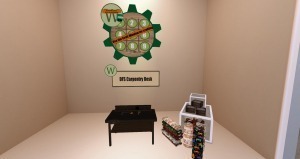 Visit the Center today, and be part of our new experience! 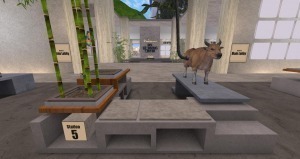 At the information desk in the front of the main store, just take the teleport to the Learning Center. https://www.digitalfarmsystem.com/wp-content/uploads/2016/10/dfs-logo.png 0 0 Fairy Catronis https://www.digitalfarmsystem.com/wp-content/uploads/2016/10/dfs-logo.png Fairy Catronis2018-03-04 17:34:052018-03-04 17:58:43SPECIAL ANNOUNCEMENT! New DFS Vday Dessert Plate and DFS Vday Wonderland Donut Tower! Six New Rare DFS Lunch boxes!